Who doesn't love a quick card that makes good use of our gorgeous Designer Series Paper? 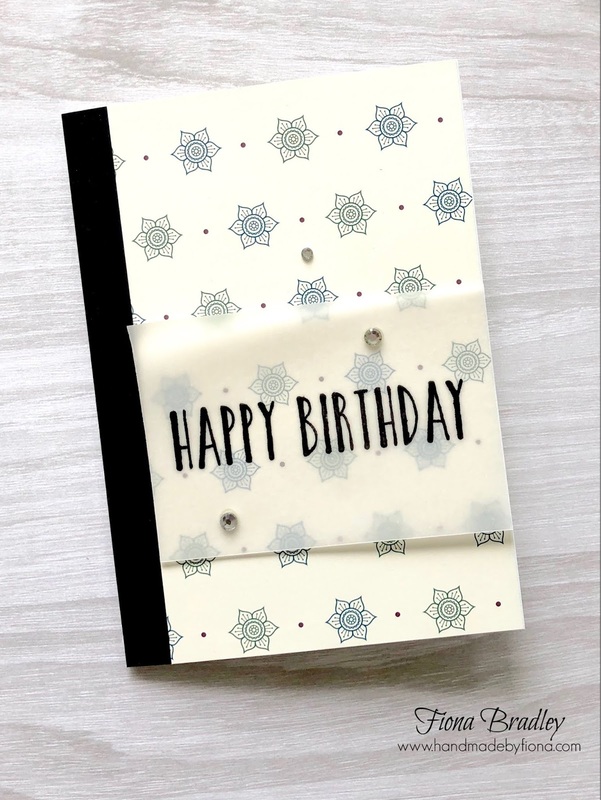 This layout will work with so so many of our papers that you can swap the patterned paper for pretty much anything of your choice. The black strip to the left can also be any matching colour for the DSP. I recommend using a lighter, not too fussy DSP so that your sentiment will stand out, and then a contrasting dark coloured cardstock for that strip down the side. Stamp your sentiment onto vellum and if possible use the Stamparatus so that you can stamp down a couple of times to get a really solid black sentiment. Adhere the vellum using glue dots in the same position you put your rhinestones so that they stay hidden. 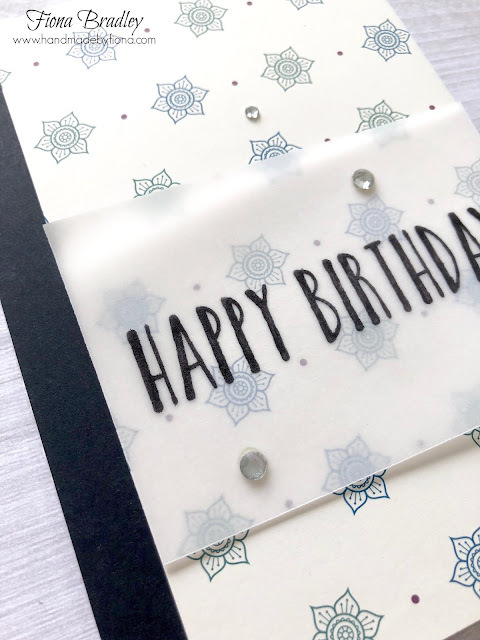 I've used the happy birthday from the Perennial Birthday stamp set.